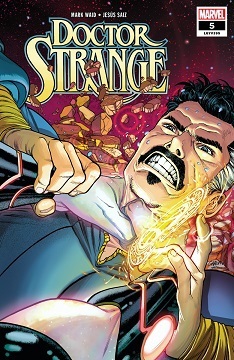 Westfield: What about the character of Stephen Strange appeals to you? 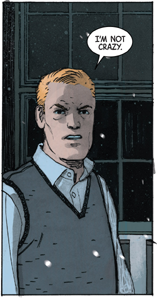 Mark Waid: That he’s a thinker. A learner. A man who's dedicated his life to personal betterment, only to have had to start again at the bottom more than once and rebuild himself. 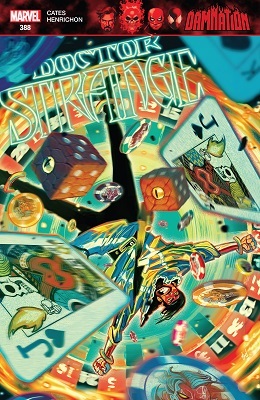 -- Westfield comics blog interview. They'd gone to save one of their own, the Billy Kaplan of that time, from the mark he'd taken. They and he met its bestower- Doctor Doom, Valeria Richards. They all lay under her power, all of them except Isaac Newton's Mindful One. That one's master haltingly told him what to do. He obeyed, breaking off a piece of himself. The effects of channeling his Mark of Sorrow to help defeat the Author of the Word of God were telling on him. 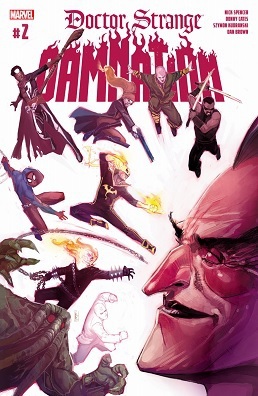 Doctor Strange and most of the other Sorcerers Supreme from across time that he'd fought alongside were by his side. Isaac Newton advised finding the person with whom Billy'd dealt to get the mark. 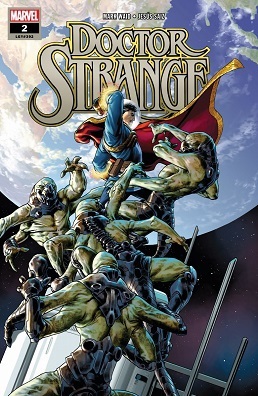 Strange asked Billy who that was. Billy flashed back, flashed forward, to the circumstances of the deal. 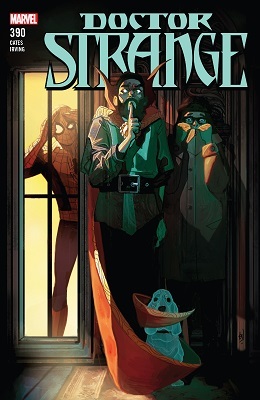 Doctor Strange and the others Merlin'd recruited from across time to fight the power of that book (plus Howard the Duck, who'd been pulled in while helping the Sorcerers and the Avengers out in Central Park) escaped it. On the back of origami folded from a page, they flew to meet the book's Author and the others of their number- Yao (the young Ancient One) in the grip of the Author's hand, and Isaac Newton in the grip of the Author's power.
" Foolish Earth-meats. Your little dragon amuses, but you have no real power here. " The Author of the Word of God arrived in Central Park. He came to Isaac Newton, who'd been using that power. 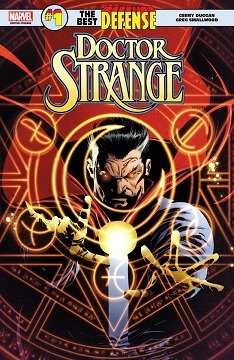 He came to those who'd been fighting Newton- Doctor Strange, some other Sorcerers Supreme from across time, and the Avengers. The Sorcerers Supreme whom he met weren't all of the ones Merlin'd gathered against the previous user(s) of the Author's work. Two of them, the Conjuror and Yao (the young Ancient One), were at Night Nurse's. They and she'd been stunned by a lesser manifestation- a servant of the Author's, in the body of the Conjuror's brother (who'd been one of the few parts of the Word-using gestalt Newton'd taken the power from that'd survived). Isaac Newton saw his opportunity. His enemy, the Forgotten, was preparing to devour the other Sorcerers Supreme Merlin'd gathered against them. Newton raised his voice to the Forgotten, spoke the word that they and now he knew. The Forgotten was blasted into their component magicians, defeated and mostly dead. Newton went for one of them.
" Newton! " Doctor Strange yelled after him.
" You knew of the Forgotten's magic? " 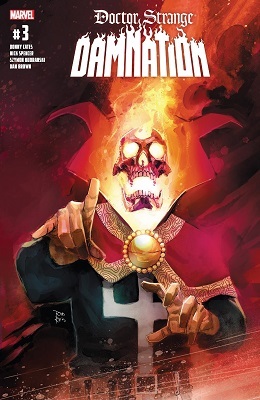 Doctor Strange and the Sorcerers Supreme #6 was a CYOA. It had a definite ending. It opened on the way to that ending. It opened on an ending. I loved Jae Lee and Paul Jenkins' Sentry miniseries. Jeff Parker's Age of the Sentry is a piece of joy. Bendis was able to get some really good stuff involving the Sentry in his Avengers run (notably in the Wedding special, and Bob and Norman's heart to heart before getting Five Guys). That said, there has been some rot. The Jenkins/Romita Jr sequel is confusing rubbish and Bendis's use of Sentry in Siege is pretty dreadful. 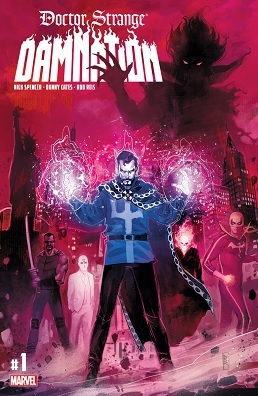 However, once I saw that he was appearing in Doctor Strange (382-385) I was all up ons. 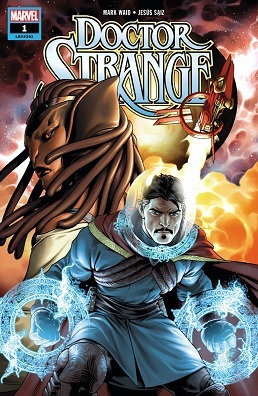 The general story is that Strange has lost Sorcerer Supreme-ship to Loki. He is miffed and vows to get his title, his cloak and his house back. 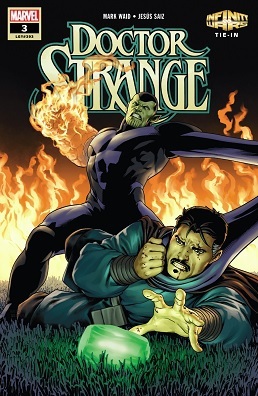 He challenges Loki, and in the contest, Loki accidentally kill's Strange's dog (Bats). 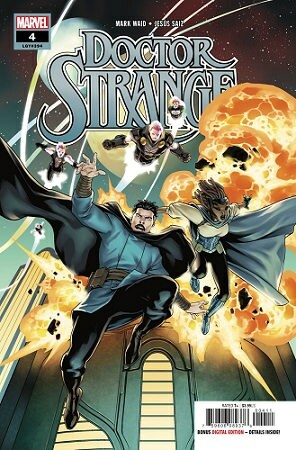 At this point, Strange decides he needs more firepower, and calls on an old friend. Up a mountain.